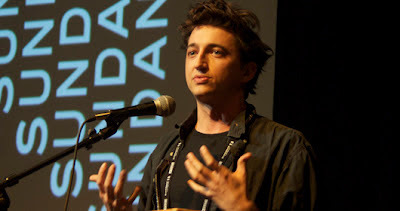 Acclaimed Director Benh Zeitlin is confirmed to attend this year’s Melbourne International Film Festival in August in support of his debut feature, the Cannes and Sundance award winning BEASTS OF THE SOUTHERN WILD. Zeitlin will also travel to Sydney to promote the film’s release in cinemas across Australia on September 13. The critically acclaimed BEASTS OF THE SOUTHERN WILD has not only garnered top honours on the festival circuit this year, winning the Grand Jury Prize (US Dramatic) at Sundance and the Camera d’Or and FIPRESCI Prize at Cannes – but it has also enjoyed enormous success in the US, including an opening week screen average of $55,228. BEASTS OF THE SOUTHERN WILD tells the story of Hushpuppy, a six-year-old girl living at the edge of the world, who faced with her father's fading health and environmental changes that signal the unravelling of the universe, goes in search of her lost mother, and is forced to comprehend her place in the mysterious world around her. Featuring amazing performances from non-actors, Quvenzhané Wallis (as Hushpuppy) and Dwight Henry (as Wink), Icon Film Distribution will release BEASTS OF THE SOUTHERN WILD in cinemas nationally on September 13.